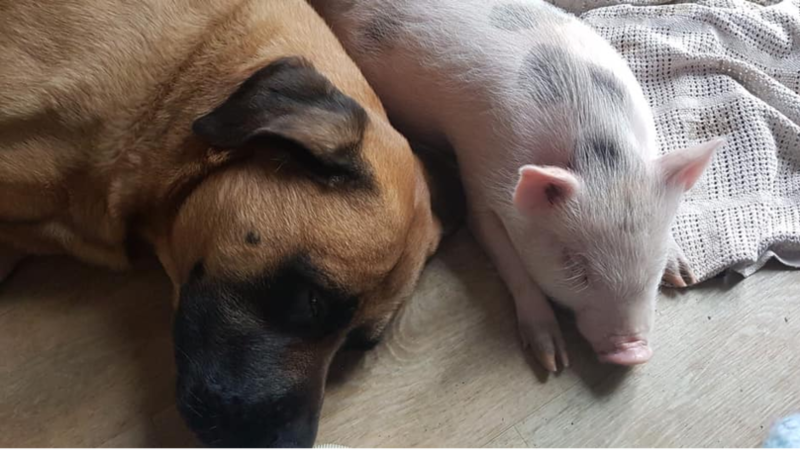 A family who rescued a piglet from the slaughter have been told they have two weeks to give him up or they could lose their council house. 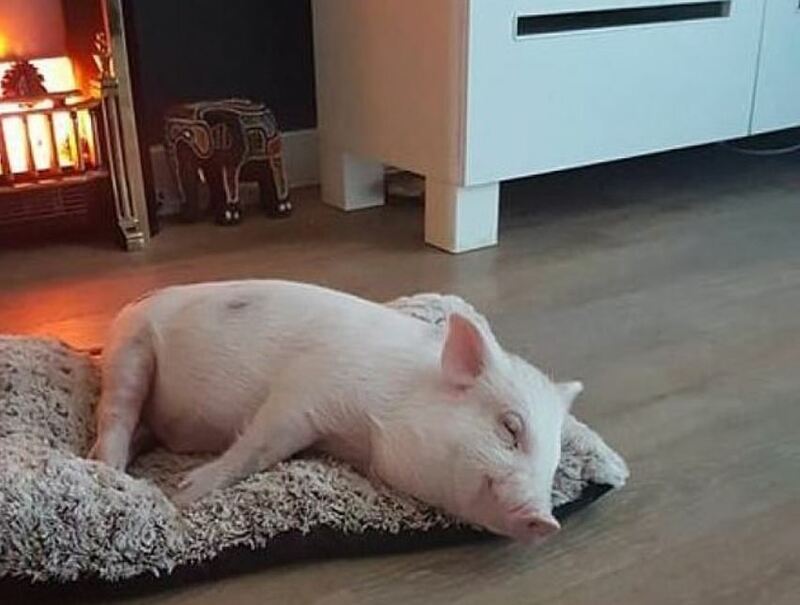 Georgie Williams found the miniature piglet, which she called Arlo, living in &apos;awful&apos; conditions and she paid the breeders to have him freed before he was killed and sold as meat. Now, the 47-year-old faces losing her home in Crowborough, East Sussex, if she keeps the pig as she is technically breaching the tenancy. According to the Metro, Georgie is under pressure to give 15-week-old Arlo up after a neighbour filed a complaint. 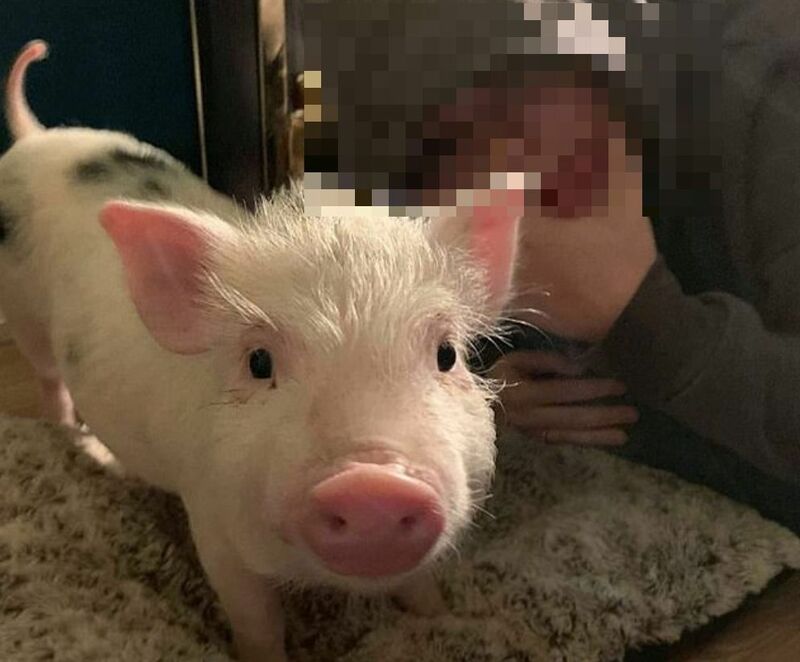 But the mother, who is on high-rate disability allowance, fears that the piglet will be sent to a slaughterhouse if he was taken from the family. Speaking to the Metro, Georgie said: "When we first got Arlo home I couldn&apos;t get anywhere near him because he was so petrified. He would just stare at the wall. "If you came near he would run away and scream or flinch like you were going to beat him. We had to coax him into letting us stroke him. "Now he&apos;s so happy with us. He lives for cuddles and tummy rubs and sleeps next to me every night. He is just like a cat or a dog. "He&apos;s been through so much trauma, he&apos;s not ready for a sanctuary. He&apos;s not emotionally stable yet. He will still scream if you walk up behind him or even if a bird lands in the garden." Georgie, an animal activist, managed to get an agricultural licence so that she could care for Arlo in her three-bedroom home. 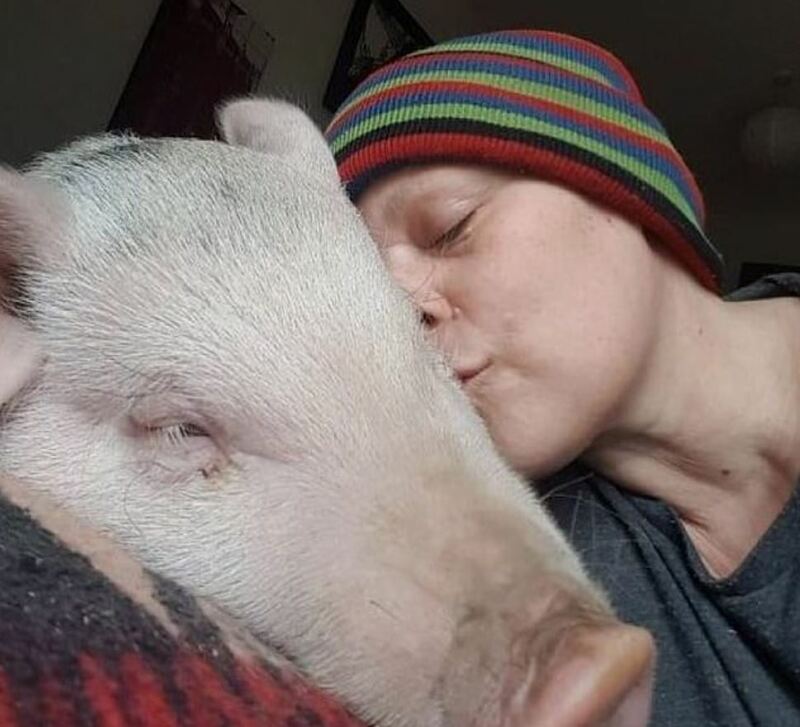 She initially planned to send him to a pig sanctuary but has now &apos;fallen in love&apos; with him. 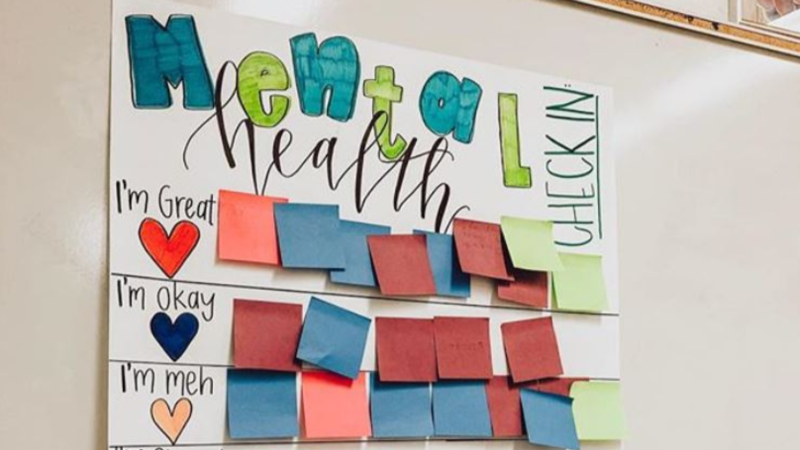 She also explained that her mental health has improved since the piglet came into the family&apos;s lives, adding: "He knows when I&apos;m in a state and he&apos;ll come over. It&apos;s absolutely crazy. It calms me back down and then I can get a grip back on reality. 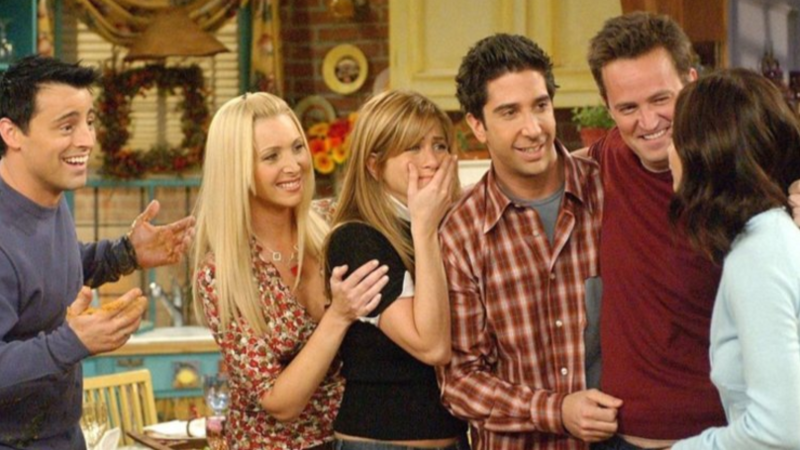 "It&apos;s the same with my daughter, she&apos;s doing her GCSEs and she&apos;s been having anxiety. As soon as she sits down, he&apos;ll come over and put his head on her. "I never thought a pig could be like this. He is more intelligent, loving and emotionally attached than a dog." When someone in the area complained about Arlo, the family were hit with an unexpected visit from their housing association who told them they had a couple of weeks to get rid of Arlo or face losing the house they have lived in for six years. Following the drop in, Georgie&apos;s daughter Teddi has set up an online petition to get Arlo to stay in their home. Currently there are over 1,400 signatures and they are trying to get it to 1,500. She wrote: "I believe that anyone vegan vegetarian or otherwise who could spend even a day with my innocent Arlo they would find the empathy to know that he does not belong on someone&apos;s plate. "But although a majority of people believe Arlo deserves a happy and settled life the council does not and they have given us two weeks to remove Arlo from the property before they do." 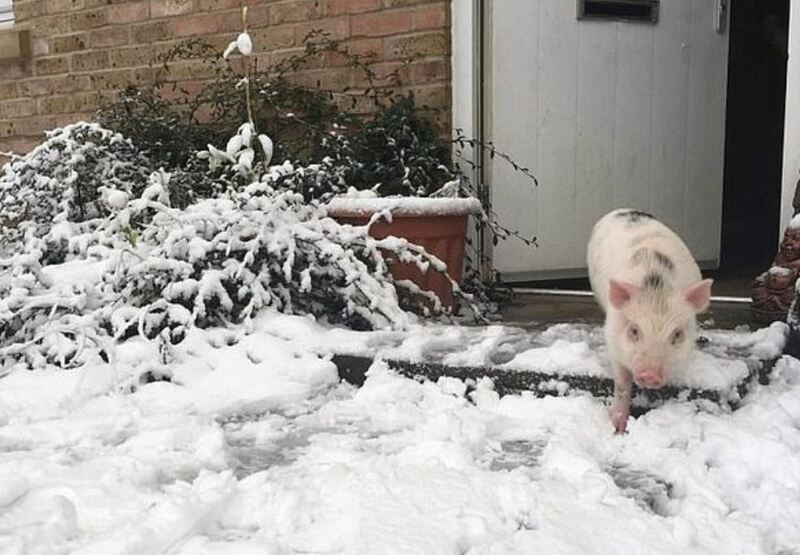 A Clarion spokesperson told the Metro that the &apos;keeping of a pig in the property is a breach of the tenancy&apos;. To support Arlo and the family by signing the petition click here.